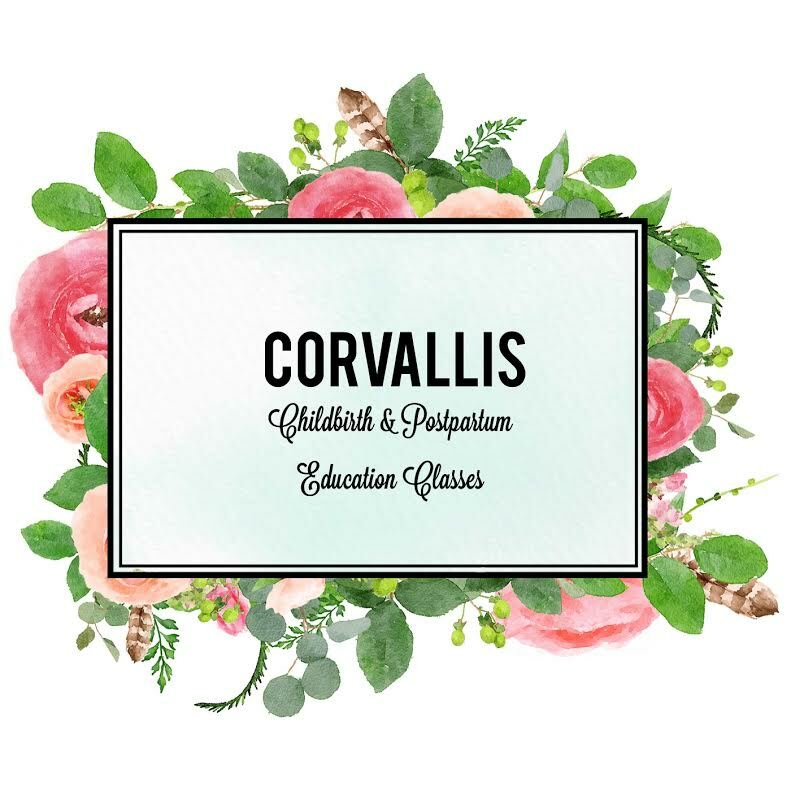 I recently got the chance to interview all of the major childbirth & postpartum educators in Corvallis. If you are looking for a class next year, you won’t want to miss this! Can each of you ladies introduce yourselves to our readers? Tell us briefly about who you are and what you love! IK: My name is Irma Kapsenberg. My husband and I were born and raised in The Netherlands where two of our kids were born at home (about 30 years ago). Our third child was born in a hospital in the USA. From a very young age on I have absolutely loved birth; watching many animals being born and having enjoyed the three good births of our own children. I taught Elementary for 12 years and currently work as birth doula (since 2006) and as childbirth educator (since 2011). I also work as a dog trainer; helping people and their dogs getting along better through private in-home sessions. I love all my three jobs, nature, wildlife, the coast, our family and my two young dogs. RB: My name is Rachel Brinker and I am a postpartum doula and owner of Proud Mama Support Services. We offer top-quality postpartum support to families in their homes during their transition with a new baby, and we offer a series of postnatal education classes called Proud Mama Academy. I am also a mother of two boys; James is four and Aran is two. I love spending time with my family and friends, playing music, and gardening. My favorite part of supporting families as their postpartum doula is getting to know each of my clients and having the honor of seeing them come into their own as a parent. MM: My name is Melissa Meyer and I’m a Birth Boot Camp Instructor and Yoga Instructor. I have a passion for teaching couples how to have an AMAZING birth! My husband, Eli, and I have 3 children- Ethan, Lillian and Cora- all beautiful, natural births. Along with teaching classes I also help run the MidValley Birth Network, a not-for-profit organization that holds monthly events to help educate MidValley couples on pregnancy, birth and postpartum topics. When I’m not doing birth related activities I’m tending to my 20+ chickens or in the garden. RV: My name is Rebecca Veltri and I am a physical therapist by day, a mom to a wonderful 2 year old boy and a childbirth educator. Professionally, much of my time is spent working with kids with special needs as most of my practice is pediatrics. After having a natural birth, in the hospital, I found myself constantly getting on my soap box in regards to pregnancy and birth. I felt so empowered and really wanted to share the gift of knowledge that my Bradley teacher and birth experience provided me. I became a Bradley Method instructor in June 2014 and have loved every minute of getting to know some incredible couples in the Willamette Valley. And just to add one more thing to my interest list and crazy life, I recently took the car seat tech course for my hospital job, so am becoming an expert at car seat installations! You each represent a different school of childbirth education. Irma, you represent Lamaze, Melissa represents Birth Boot Camp, and Rebecca you teach the Bradley Method. Rachel teaches her own style of postpartum classes. Can you each tell our readers what is special about your method of education? What made you fall in love with it? What makes it different? IK: I chose Lamaze because they support birth in hospitals, birth centers and at home. They teach an evidence based curriculum, their resources for parents and for professionals, their general down-to-earth philosophy and being realistic about Western medicine. RB: Proud Mama Academy is based on ten common areas of interest and concern that parents seem to come up against in the first year of parenthood–issues like infant sleep, postpartum mood issues, breastfeeding challenges, childbirth recovery, etc. Most childbirth education classes spend just a short amount of time preparing you for after the baby is born. We created Proud Mama Academy to help parents round out their education so that they are prepared not only for childbirth itself, but for the months to follow. As a whole, our society pay a lot of attention to pregnancy and a lot less attention on what comes after birth. That’s sort of like spending a year planning a huge and expensive wedding but not investing time into the relationship itself for a successful marriage. Birth is so important and a mother’s experience of birth will stay with her for the rest of her life, but there can be a lot of challenges that come up afterwards, especially if you don’t know what to expect. I love that Proud Mama Academy is ten classes spaced out over a whole year because as parents, the need for support and education never stops. And since people can take the classes no matter what stage they are in (hoping to conceive, pregnant, postpartum, or experienced parent) there’s an opportunity for expectant parents to get some of that preparation before the baby comes. We recommend that expectant parents take both a childbirth education class and a postnatal education class–either simultaneously, or each during the corresponding stage. MM: When I was pregnant with our first baby I knew my path would lead me to Childbirth Education. The class we took was not that great and I knew I could do better and make a difference in peoples lives. After our son was born I started looking at all the different programs and never found one that was fitting for me. Our second child was born January 2011 and we moved to Oregon one year later. Right after our move Birth Boot Camp started up their very first training. Birth Boot Camp is modern, up to date education for couples desiring a natural birth. The 10-week class is not a method but a comprehensive education that teaches you and your partner to work together as a team to achieve your best birth possible. I immediately knew that Birth Boot Camp was for me! I was certified November 2012 and over the past 3 years I have had taught many great couples and have seen most of them achieve their goal of an unmedicated birth. Those who didn’t have been satisfied with their outcome because their education enabled them to make the best decisions for themselves. I am proud to be a part of the Birth Boot Camp company as it grows and expands into the leader of birth and breastfeeding education. RV: I dont have anything to compare the Bradley Method to because it’s what I used when I was pregnant and dont have experience with any other method. I love it because of how it helped me and I think compared to other childbirth methods, it’s extremely focused on what YOU can do to help yourself, both before labor and during labor/delivery. Now that I’m the teacher, I am enjoying finding new and engaging ways to modernize the material. I utilize community members, past students and some care providers to enrich the material and to show the students what incredible resources we have here in the Willamette Valley around pregnancy and birth. What can expectant families expect to get out of your program? What do you prepare families for best? IK: My classes have a strong focus on partner support and help couples get in charge of their birth through effective, respectful communication with each other and the medical staff. I teach couples how to go into the birth process with an open mind and how they will be much stronger than they think they are now. I help couples identify post-partum depression and how to navigate through the first few months at home with the baby. At the end of the 5 -week course couples feel better prepared and more confident about their upcoming birth than before they started the Lamaze class. My experience as a birth doula is a great asset to help couples teach about the reality of labor, birth and the postpartum period. RB: Proud Mama Academy classes are designed to provide you with the most up-to-date, evidence-based information so that you have all the information and confidence you need to make choices that are right for your family. Our classes cut through the “fluff” associated with pregnancy and early parenting and offer a “let’s get real” approach. We know there is so much information available to parents on each and every topic they might want learn about, and it’s overwhelming to try to find solid information, especially on the internet. We’ll help you get the information that will actually be useful to you, rather than just what someone thinks you should do because it worked for them. Our classes are taught by local professionals who are extremely knowledgable about their subject matter. For instance, our baby signing class is taught by Rachael Sudhalter, who is a postpartum doula with Proud Mama Support Services, but who is also a sign language interpreter with over ten years of experience. Our classes on breastfeeding are taught by Brooke Borgognoni, IBCLC, who is an absolutely amazing lactation consultant with a ton of education and experience. We have a whole lineup of experts who are excited to share their knowledge with you so that we can help make your journey into parenthood go a little smoother. MM: Couples can expect the most up to date researched education from their 10-week Birth Boot Camp classes. I provide education on for many aspects of pregnancy, labor, birth and postpartum. Couples will learn to relax both mentally, emotionally and physically, as this is an important skill needed for a natural birth. 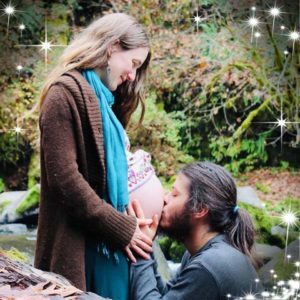 Nutrition, exercise, preparation, knowledge, and support will also be covered and are an integral part of having a wonderful natural birth experience. RV: The number one thing I hear from couples who have taken my class is that they felt prepared for birth and that even when their birth plans didnt go as they had hoped or planned, they felt as ease because they knew what was going to happen next. They understood how labor might progress and how interventions were related to each other. Hearing that my class is providing peace of mind and empowerment is the most rewarding feedback I’ve received and is probably the biggest thing couples take away. Describe the labor preparation your course offers. Are breathing and relaxation taught? IK: I teach relaxation techniques and how partners can identify tension in the birthing mother. Breathing is not the main focus as women know how to give birth. A few breathing techniques are covered to help with getting confident to help certain labor situations. Partners learn through hands-on techniques and dvd footage how to support the mother in labor, birth and the first weeks after the baby’s birth. MM: Every class in the 10-week series covers some labor preparation, from different relaxation techniques to different positions. The whole of Class 6 (Supporting Arms: Mom’s most important ally) is focused on the Partner learning very practical ways to help Mom during labor. Moms will also learn some very effective – and unique — techniques in coping with the challenges of labor. Anyone invited to your birth (mom, sister, best friend) is encouraged to sit in on this class as well. RV: We discuss what normal labor might look like and spend a few classes doing activities related to labor. We practice labor, various labor positions, different relaxation techniques and techniques for coaches to try (massage, etc) to assist mom. We also discuss the logistics of labor- what “life” things will have to be taken care of (pets, other children, etc), what to bring or have on hand and how to communicate with medical staff before and during labor to improve your chances of having a positive experience. Right or wrong, there is the idea that childbirth or postpartum classes are only for first time mothers or those who want an all-natural birthing experience. What do you think about this? Would you recommend your course to a couple expecting their second, third, or fourth child? Would you recommend your class to a mother planning on receiving an epidural or with a planned cesarean? Why or why not? IK: Most class members are first time mothers. Sometimes they already have had a baby but their new partner is new to birth. Sometimes women want a better birth experience than with their previous birth or their first baby was born many years ago and they need a “refresher”. Since labor and birth are unpredictable it is a good idea to be educated both on natural birth, in pain relief techniques through labor support techniques, positions, water birth but also on the availability of medical pain control. Cesarean birth will be covered and how to make this a good experience. Every pregnant woman/couple, including their second labor support person, is welcome in my class, regardless how many children they already have birthed. RB: There is a lot to be gained from the camaraderie that develops during postnatal education classes, even for parents who already have children. Proud Mama Academy also provides childcare during each class, so this makes is possible for anyone to come, not just first-time moms with an infant. Anyone is welcome to attend Proud Mama Academy classes, no matter what their birth plan looks like, or whether or not their birth experience ended up being what they hoped. In fact, we have a class specifically designed to address the challenges that come up when things don’t go as planned during birth. If someone was expecting a birth free of interventions and ends up with a C-section, there can be a lot of difficult and confusing emotions attached to that. Our class addresses those issues in a safe and judgement-free setting. MM: I would absolutely recommend my class to everyone- first time, second time, etc parents planning any type of birth. Birth Boot Camp is comprehensive- it teaches couples not only about natural labor but about interventions- how they are administered, when they might be necessary and how to avoid unless needed or wanted. Some couples end up needing necessary interventions and they are prepared with the knowledge of the pros and cons. They are able to make their own educated choices and feel empowered and in control over their own birth. RV: Childbirth classes are for any woman who is pregnant, regardless of the type of birth experience she is planning. All women/couples can benefit from the empowerment that comes from gaining necessary information to ease anxiety on delivery day. I have had moms expecting their 2nd babies in my classes. In each case, they came to me wanting a better birth experience and were able to achieve that simply by gaining new information (even after having been through labor before!). My specific classes I would recommend for anyone planning to have a vaginal delivery. While C-section moms could also benefit, there is not much emphasis on that intervention and those moms would be better served by a different kind of class. How many other couples are typically in each class? Is socializing and getting to know other expectant families a big part of the experience in your course? IK: I have 5 – 12 couples average in my class. It greatly varies. The classes are held in the roomy Conference Rooms of Good Samaritan Hopital in Corvallis. Through interactive activities and sharing about their pregnancies and health every week at the beginning of each class, people get to know one another and are invited to form a reunion group once the class is over. RB: Class size is limited to twenty participants, and anyone can register for a class– expectant parents, grandparents, caregivers, and seasoned parents who already have children. Registration for each Proud Mama Academy class is a la carte, so not every class will have the same group of students, but because most people register for more than one class throughout the year, there is a core group that will see each other more than once, and it’s great to see parents get to know each other and support each other. That being said, we know that your time is precious and we will stick to the schedule so that you can get the information you came for. In addition, because childcare is provided, your children will be getting opportunities to socialize as well, under the care and direction of experienced and well-qualified caregivers. After the last class of the year we’ll have a big potluck for all Proud Mama Academy students to celebrate! MM: Right now my max number of couples is 5 in each class. I keep my classes small to make sure I am able to give individual attention and customize each class to the group needs. There are always couples in the class that become friends and remain connected after class is over. After all the babies are born we hold a reunion to meet the new little ones and talk over the births. Once a year we have a big potluck reunion where all the past students get together to celebrate! RV: My classes this year have ranged from 5-10 couples. I prefer to have less than 10 and definitely no more than 12 because the experience needs to be intimate and I need to be able to address individual concerns. The socializing in the classes is probably one of the biggest strengths. We have had reunions, couples often stay after class to visit with each other and we have a private Facebook group all to encourage bonds among expectant parents who will have babies the same age. I tell my students repeatedly that their biggest resource in class is each other. There is so much to be learned from another person’s story, I encourage my couples to reach out to past students and bond with their classmates because it is a resource that is priceless and will be there for years to come. When does your next course begin? What is the cost? How can our readers who want to enroll get in touch with you? IK: I teach two classes each week from 6.30 – 8.30 pm year round, back to back; on Monday and Thursday evening for 5 weeks. Cost is $75.00. Enrolling only through the hospital’s website. Next classes start beginning of January 2016. IHN members can check to see if they are eligible for reimbursement. RB: The first Proud Mama Academy class, “Sleep and My Infant: What is Safe Sleep and How Do I Get It?” is on January 23, 2016. Please visit www.proudmamasupportservices.com/classes for the full listing of course offerings and to register. Full cost of each class is $30 a la carte, but we have some great packages and early bird specials available on our website. Our best early bird discount is available through January 7. Childcare is provided during each class and is included in the cost of tuition. If you have questions, you can always call me at (541) 714-5859 or email me at rbrinker@proudmamasupportservices.com. Also, please join us on Facebook at Corvallis Proud Mama Support Services. We hope to see you soon! RV: My next class starts January 4th, 2016. $200 for Corvallis Clinic patients/$250 for non Corvallis Clinic patients. The best way to sign up is at https://www.corvallisclinic.com/health_wellness/natural-childbirth-class and questions can be directed to rebecca.veltri@gmail.com. I don’t believe insurance covers my class but I have had couples use flexible spending accounts to pay for it.